I was watching the online coverage of the 5th game in the 2010 World Championship Match when the amazing news came through that all the lights in the playing hall had gone out. There were also reports that the whole building had lost electricity meaning that there was difficulty in entering and exiting the building. Apparently this state of affairs remained for about 15 minutes before power was returned. It seems that the organisers at least were able to cope with this eventuality, as the game continued with emergency lighting, although the online coverage of the game seemed to be interrupted. Nonetheless such an incident can be disturbing to both players. A similar incident occurred during the Fischer Petrosian match in 1971, although surprisingly Fischer (who was always touchy about lighting) allowed his clock to be restarted in the semi-darkness as he was still thinking about the position. Interestingly it is countries who have a poorer electricity infrastructure are better able to cope with such a situation. In last years Solomon Islands International, Honiara was hit with a city wide blackout, plunging the 3rd round of the tournament into darkness. No problems, out came the battery powered lamps, and the only game in progress continued. It however did have one practical effect. Brian Jones played 34.Nxe7# but failed to realise it was mate as he did not spot his own bishop on c3 covering the dark(end) squares! I recently purchased a copy of "Heroes of Classical Chess" by Craig Pritchett. It covered a group of players (Rubenstein, Smyslov, Fischer, Anand and Carlsen) who Pritchett felt played chess in a "classically direct" style. In his introduction he admits that "style" is an elusive quaility, but he defines the "classically direct" style as having in part "a fundamental sense of analytical correctness". Clearly game 4 of the current World Championship Match is evidence of Anand's expertise in this regard. Cleverly choosing an opening system designed to keep the game on his terms, rather than Topalov's, he aimed for a position that wasn't aggressive of defensive, but one that was simply good (in the sense that he could dictate the course of the game). As it turned out that the position he achieved offered him good attacking chances, which he then exploited with a brilliant sacrificial attack. If some commentators felt that 15.Qa3 in game 2 was reminiscent of Fischer's 11. 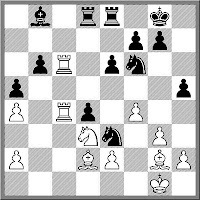 ... Nh5 in Game 3 of the 1972 match against Spassky, then this game could be compared with Fischer's win in Game 6 in the same match, in both style and significance. One of the more fascinating aspects of the online coverage of the Anand - Topalov world championship match is the comments of the spectators, both during the game, and after it is finished. While there is a small group of well informed and erudite commentators (both in the formal and informal sense), there are a larger number of 'trolls' that delight in winding up the crowd. This is mainly an unsuccessful endeavour as most of the comments lack the subtlety and humour of a good 'troll', but nonetheless it still serves a purpose as a crude measure of public opinion. Even the website that I would regard as most 'pro-Topalov', Chessdom, seems to attract a large number of anti-Topalov (or more correctly anti-Danailov) comments, although this may be because this is the best place to get a reaction. The anti-Anand comments are far fewer, although they certainly are out there. And while most comments aren't worth repeating (eg 'Topalov visiting the toilet again' jokes) I did appreciate one comment concerning the restrictions placed on the relaying of games on other chess servers. 'The Bulgarians aren't upset with Chessbase for broadcasting the games without permission, they are upset with Chessbase because they broadcast Game 2"
FM Brian Jones is the 2010 Oceania Seniors Champion, after winning the Oceania Seniors Championship in Canterbury, New Zealand. Not only does Jones earn the title, but he also becomes the Oceania zones representative in the 2010 World Seniors Championship to be held later this year. Jones finished on 5.5/7, half a point ahead of William Lynn, who earned the title of New Zealand Seniors Champion. Jones was undefeated, scoring 4 wins and 3 draws, with a quick last round draw with Lynn earning titles for both players. One of the key games was played at the halfway point of the tournament, with Jones up against fellow Australian David Lovejoy. 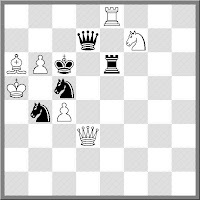 Jones decided to meet the Kings Indian with a Four Pawns attack, and the following hack ensued. After the worst possible start to a World Championship match, Viswanathan Anand bounced right back with a win over Veselin Topalov in the second game. Anand seemes to take a leaf out of Kramnik's book by employing the Catalan, hoping to keep Topalov mired in 'slower' positions. 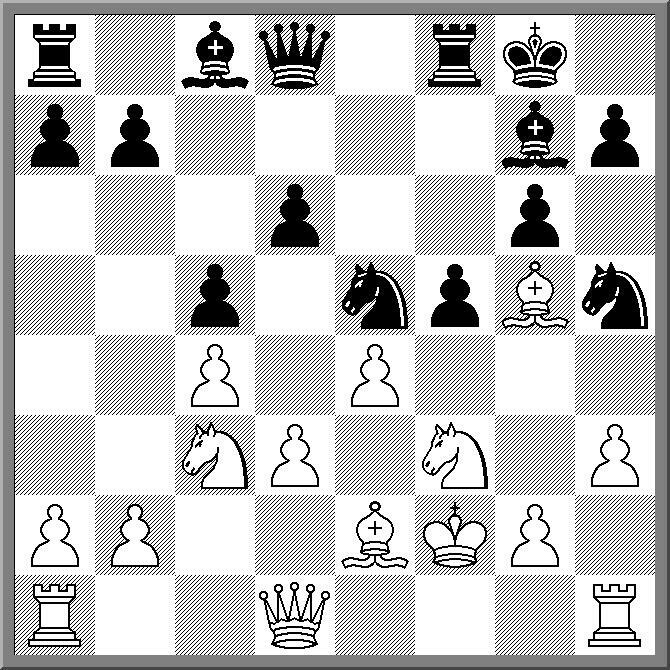 The strategy seemed to work as Topalov's 26th move was described by one commentator as "playing for tricks". After Anand sidestepped Topalov's hoped for counter play, it was a matter of reaching a won ending, and bringing home the point. The 2010 World Chess Championship certainly got off to a spectacular start with Topalov's crushing victory over Viswanathan Anand. 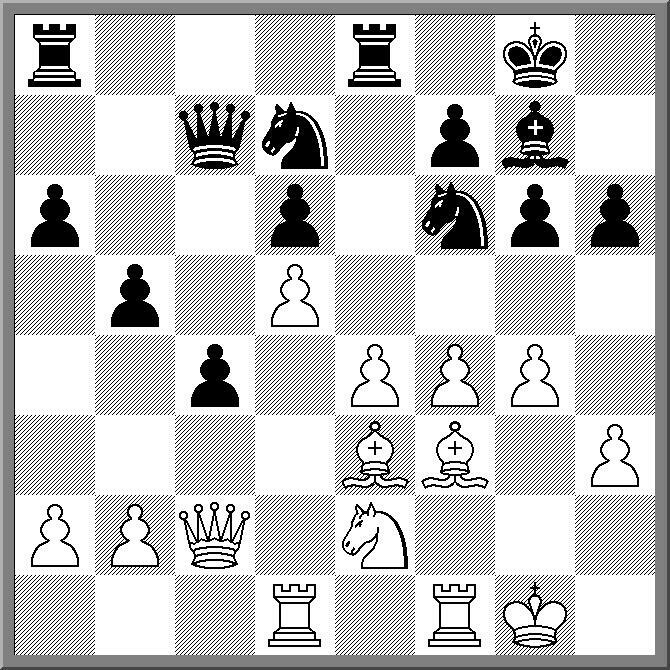 The games was over fairly quickly, with the first 20 moves following established theory. On move 23 Anand slowed down, possibly trying to remember his preparation, but the move he made 23. ... Kf7 was a mistake that was punished by an immediate knight sacrifice. Although Anand then thought for another 30 minutes over his 24th move he was already losing, and the game was all over by move 30. As I write this, Game 2 has already started. As with most of the recent World Championship matches, the status of live coverage is unclear (due to various demands for payments from the organisers), by Chessdom are certainly carrying live coverage and analysis at this link. For those on the eastern seaboard of Australia, the games are starting at the semi-reasonable time of 10:00 pm. At Street Chess today there was a brief discussion about the following question. "When was the last Chess World Championship Match (before the 2010 match) when neither player was a native Russian speaker?" 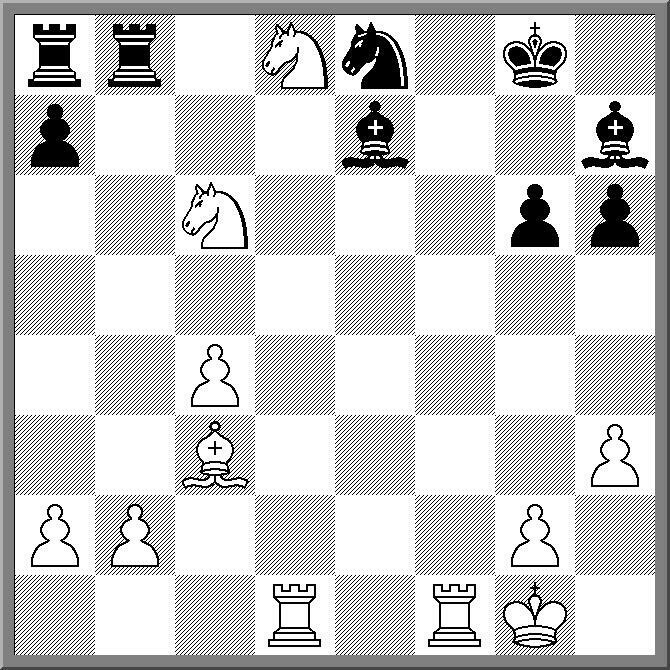 The best answer we could come up with was way back in 1921, when Capablanca played Lasker. Of course this assumes that players like Ivanchuk and Ponomariov (who played in the 2002 FIDE World Championship Final) fall into the category of 'native' Russian speakers. Have I missed anything obvious? Did any matches between 1921 and 2010 contain only non-Russian speakers? Contributions welcome. While running a seniors (over 50) event alongside other chess tournaments doesn't seem to work (at least in my experience as an organiser), running them as a stand alone event seems to attract more players. The obvious explanation is that players prefer to play players of their own strength, rather than their own age. But when there isn't conflicting events, senior players are happy to play senior events. The New Zealand Chess Federation is currently running the 2010 New Zealand Seniors Championship. However it is doing double duty as the 2010 Oceania Seniors Championship as well. The reason for this is that the Oceania Zone is entitled to nominate 1 official representative for the World Seniors Championship, and having a qualifying tournament is obviously a good way to decide who gets to go. Therefore in the field of 21 players are a few Australians, including top seed FM Brian Jones. The tournament began today and is being managed by the Canterbury Chess Club. Full results are available from the clubs home page. One of the books I picked up at this years Lifeline Bookfair was "Sam Loyd and His Chess Problems". It is a comprehensive history of Loyd's work as a problemist and contains over 700 of his problems (plus some by his older and younger brother). Interestingly, the book was written by Alain C. White, who was himself a legendary name in chess problem circles, and who was at least as significant as Loyd in the field. Rather than go for one of the many famous Loyd problems, I've chosen an historical, if not easy problem. It is the first published Loyd problem (1855) and it is a rather direct mate in 3. The expression "Force majeure" has been a popular one in FIDE circles recently. It translates from French as "Superior Force" and is used as a legal clause that frees one or both parties in a contract from liability if an unforeseen and external event prevents the terms of the contract from being fulfilled. FIDE President Kirsan Ilyumzhinov used it quite a lot in a press conference at the Dresden Olympiad to explain why his promised financial guarantees for the Topalov v Anand World Championship weren't really guarantees at all. However he failed to identify the external event that prevented his fulfilling his initial promises, leading some to assume the "Force Majeure" actually translated to "I've changed my mind". However it looks like FIDE have got the usage right this time, in deciding to postpone the first game of the upcoming World Championship Match by one day. In this case the "Force Maejure" is the volcanic eruption in Iceland prevented air travel in Europe for the past week. The lack of air travel resulted in the late arrival of World Champion Viswanathan Anand in Sofia, who spent 40 hours on the road to get there. Nonetheless at least one GM has observed that the delay may not be so much about Anand's travel difficulty, but the fact that FIDE officials are also having difficulty getting to the venue in time. Have a look at the Chessbase report and make up your own mind. In what may a first for an Australian chess tournament, the Sydney International Open had an 'artist in residence'. Local Parramatta artist Sadami Konchi was a regular visitor to the event and used her time at the tournament to produce coloured sketches of a number of players. She has posted a number of the pictures on her blog, as well as describing her impressions of the tournament here. So impresses was tournament organiser Brian Jones with her work, he is even including a number of pictures in the next issue of Australasian Chess. ... or fate giveth and fate taketh away. A couple of months ago a member of the chess club I play at emailed with a simple request. He was travelling to Europe on government business and as luck would have it, the business was in Sofia(!) and the dates were this week. So he wondered if I could help him find tickets to the World Championship Match Opening Ceremony and Game 1. After a few emails that went all the way up to Silvio Danilov, everything was arranged, and he was getting primo seats for Anand v Topalov. That was until Eyjafjallajökull erupted, resulting in the cancellation of all flights between Australia and Europe. So sadly the whole thing has fallen apart, and he is stuck watching the match alongside the rest of us back here in Australia at 1am in the morning. One of the most interesting things about the Doeberl/SIO tournaments was the results of the players that earned norms at the Doeberl. All four of them (Xie, Ly, Rej and Teichmann) lost ratings points in the SIO. And in almost all cases the damage was done early in the tournament, although a couple of players managed to limit the damage with good finishes. As I've never been in the position of having do back up after scoring a title norm, I can only guess at the cause, but I assume that having your mind on what you've just done rather than what you are yet to do might have something to do with it. One player who suffered a post-norm let down was Moulthun Ly, but at least he had the consolation of being featured in a recent edition of ChessToday with this sparkling finish in his game against Sam Grigg. Made my regular trip to the Lifeline Bookfair, and picked up a large swag of chess books. Having grabbed the books I wanted, I thought it was only fair to share some tips on getting what you need. For those who are unfamiliar with the Lifeline Bookfair, it is one of those Canberra activities that 'everyone' does. It is held twice a year and is basically a giant second hand book sale raising money for Lifeline (I assume other cities have similar book fairs, but I haven't been to any). It runs for 3 days, and is currently held at the Canberra showground (having outgrown previous venues). Firstly, you need to get there early. Although they don't put all the books out at once, for small collections like chess, most of the books are on the table when it opens. I usually get there about half an hour before the start, but even then I am probably number 300 in the queue. If you haven't been there before, get yourself a floor map. Normally the chess books are in the same location (alongside Bridge, Poker and just down from Sports), but newcomers still have to locate them. Thirdly, claim your territory. This normally involves slowly moving along the collection of books in a way that says "Wait till I've finished". Today I was trailed by a gentleman who simply dumped most of the chess books into his bag. However as I was there first, he had to wait until I had taken what I needed. And that is another point. You should only take what you need. First time through I probably took 4 or 5 books (which I didn't have), leaving the rest for other buyers. As much as I have multiple copies of certain books, it is also important to let other collectors have a chance. Think of it as book buyers 'karma'. And in fact I was a little lucky, as after the guy following me had pillaged the collection and departed, one of the helpers produced a second box of chess books from under the table and replenished the collection. And I probably got more good books the second time round. Finally, it is worth having a chat to the helpers while they are restocking. In this case I was told that this was the second and last set of chess books, and so I was able to leave, knowing my shopping was complete for another 6 months. Andrey Bliznyuk continued his good run of recent form with a win in the 2010 ANU Chess Club Masters. This 10 player round robin was designed to provide a more serious chess tournament for ANU club members and to allow some players to earn FIDE ratings. Bliznyuk finished a comprehensive winner, on 8/9. He went through the tournament undefeated, conceding 2 draws, in the first and last rounds. In second place 2 points back was Adrian De Noskowski who started the tournament with 4 wins before a run of three losses brought him back to the field. However 2 wins to finish the event left him half a point in front of Miles Patterson and Emma Guo. While most of Bliznyuk's victories were fairly lengthy affairs, his win over third placed Emma Guo was a more dynamic effort. After gaining an advantage out of opening Bliznyuk sacrificed his queen for a rook, a piece, and a couple of strong pawns. 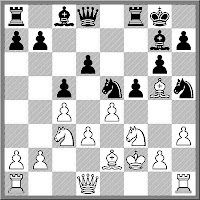 However in trying to gain time on the clock he inadvertently repeated the position 3 times, and was fortunate that his opponent made her move before realising she could have claimed a draw. Having missed her chance, Guo found she faced too many threats and walked into a mate. While it is a little further away than Sydney, the 2010 Thailand Open is the third tournament in the Doeberl-SIO-Thailand series of events. The tournament got under way today, although the actual entries are lower than the registered entries, no doubt due to the political situation in the country. Of the visitors to these shores, IM's Stefan Macak, Dinesh Sharma and Atanu Lahiri stopped of in Bangkok on their way home, while another 7 Australian players made the trip across. So far 2 rounds have been played with top seed Nigel Short amongst those who have made it to 2/2. Full results can be found here. About a weeks break between the end of the Doeberl/SIO tournaments, and the start of the World Championship match in Sofia. The match website seems to have new content added, with the promise of live vide coverage of the match, and subsequent press conferences. Even though I have another week to think about it I'll get my tip in early. 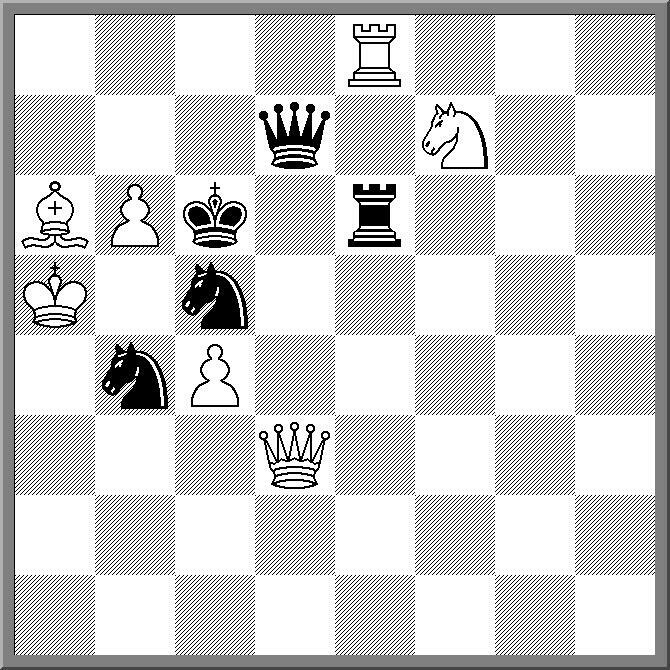 Anand to win in 11 games. I just feel his style will effectively blunt Topalov's attacking prowess, and then technique will do the rest. Overcoming the pressure of the last round game is something that tournament winners need to master. For the top players this is something that they face all throughout their careers, but it can be tough for players who haven't reached the upper rungs of the chess ladder. Years ago a player who was playing for first place in the Doeberl Cup *Major* told me his pre-game preparation consisted of throwing up his breakfast. In the 2010 Sydney International Open there were a number of things riding on the last round games, and players coped in different ways. Joint leaders Zong Yuan Zhao and Gawain Jones solved their issues by playing a quick draw, while GM Dejan Bojkov joined then first place by defeating GM Dibyendu Barua, with the black pieces no less. FM Daniel Fernandez was playing for a GM norm against GM Abhijit Kunte, but drawing with 2B+PvQ+P was in the end a good result, and his IM norm was a consolation. GM Vladimir Malaniuk salvaged something from his Australian trip by grinding down Doeberl Cup winner GM Li Chao, finishing third on tie-break. Unfortunately the only other player playing for a title norm, Max Illingworth, was up against GM Magesh Panchanathan, who seemed to be a road block for a couple of other norm aspirants earlier in the event. If you have play as much World of Warcraft as I have, you will understand the concept of "Need before Greed". This is way of dividing the spoils of battle between party members. "Need" basically says "I have an immediate use for this item", while "Greed" says "I don't have an immediate use for this item, but may do something with it another time". In the Round 8 clash between FM Michael Steadman and GM Abhijit Kunte, Steadman was faced with such a decision. Having beaten IM George Xie the round before (Xie dropped a piece in the opening), Steadman had the opportunity to gain material. But the choice was between two pieces for a rook, or piece for a pawn. Steadman chose the piece, but found that he had taken the "Greed" path, as the extra piece he had was pinned against his king and was practically useless. Nonetheless he was able to return his ill-gotten gains later in the game to reach a position offering drawing chances, but then an endgame blunder handed the point to his opponent. While the arbiting team for the Sydney International Open are finding this tournament easier than the O2C Doeberl Cup (half the tournaments, half the players, half the trouble! ), the same is not true for the players. For our visitors from Europe, back to back 9 round events played with a 2 round a day schedule is quite a shock. It then isn't made any easier when you play a 5 and half our marathon, finishing half an hour before the start of the afternoon round. For a long time the round 5 between GM's Panchanathan and Bojkov was heading for a draw, at least if the 50 move draw rule came into play. 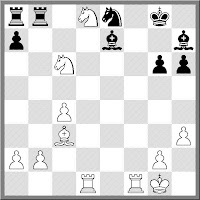 The last pawn move was on move 35, and for the next 40 moves the players rearranged their pieces, while no captures were made and no pawns moved. Then on move 75 it all kicked off. Even Chessvibes notices the Sydney International Open with a nicely humerous post. And Chessbase covers the Doeberl Cup (courtesy of Dejan Bojkov). From round 3 4 of the Sydney International Open. 10 year old Sean Gu defeats veteran Richard Voon using some very very old tactics. Unlike the Doeberl Cup, the top seeds for the Sydney International open have navigated the first day without too many problems. The 11 highest rated players all got to 2/2, and it was only on board 12 in round 1 (Ansell v Johansen) that the form guide went out the window. However this was bizarre in itself, as White played an illegal move that went unnoticed by both players and was only discovered after the game had been completed (and score sheets signed, results recorded and a post-mortem was well underway). Of course plenty of lower rated players tried for an upset, faltering at crucial moments. 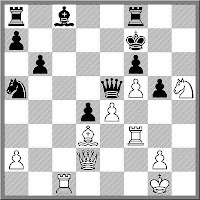 In this round 1 game Hilton Bennett went close to either winning or drawing against GM Dibyendu Barua, but didn't trust himself to play the right sacrifice. Change of shirt, change of tournament (The arbiters have gone from Doeberl yellow to SIO orange). Having wrapped up the Doeberl on Monday, the setting up for the SIO started Tuesday afternoon. Lost in the rush to get everything organised was yesterdays blog post. But everything is on track for another successful international event. The top 6 boards of the Open will be broadcast live, via this link. Game entry is being done by the Speedy Gonzales of data entry, Ron Scott, so the remaining games will be available soon after the round ends. And the scores for the Open and Challengers can be found at www.chess-results.com. Opening ceremony is at 9:15am and the first round will start at 9:30am. Perfect timing for those who wish to spend the day "working" at their computer screen. Top seed GM Li Chao calmly wrapped up the 2010 O2C Doeberl Cup with a 12 move draw against GM Vladimir Malaniuk. His score of 7.5 points consisted of 6 wins and 3 draws. He led the tournament from round 1, and despite having to work hard in a couple of games, it was exactly this capacity to continually push for victory that enabled him to win the tournament. There were a couple of late night games which looked like they would be drawn, but Chao kept pushing and pushing, and was eventually rewarded with a full point. In second place was IM George Xie, who also scored his third Grandmaster norm. Needing to win against Indian GM Abhihit Kunte, he was gifted the point (and norm) by a horrendous blunder from Kunte, just after the first time control. While his round 9 win may have been a gift, he played excellent chess throughout, finishing without a loss, and wins over GM's Bojkov and Zhao. Third place was shared between GM Malaniuk, GM Magesh Panchanathan, GM David Smerdon and IM Saptarshi Roy Chowdrey. Amazingly all the players going into the final round with norm chances managed to convert. Contrary to yesterdays blog post, FM Tomek Rej had already earned the IM norm (by virtue of being paired against GNM Gawain Jones) and simply had to turn up to make it official. He made the norm doubly sure by drawing the game against Jones. FM Erik Teichmann continued a recent run of good form by defeating IM Igor Goldenberg for his IM norm, while Moulthan Ly recorded his third IM norm with a win over IM Gary Lane, after the latter blundered into a mate. The 4th day of the O2C Doeberl Cup Premier often decides most of the important outcomes of the tournament. Not only does it indicate who is going to win the event (and what they need to do), but also which players can and cannot get title norms. Going in to the final round top seed GM Li Chao has at least a share of first place, with a full point lead over 4 players. These are GM Vladimir Malaniuk (who Chao plays tomorrow), GM Magesh Panchanathan and GM David Smerdon (who play each other) and IM George Xie (who needs to beat GM Abhijit Kunte for his third GM norm). Also shooting for glory are FM Tomek Rej (at least a draw against GM Gawain Jones for an IM norm), FM Erik Teichman (a win over IM Igor Goldenberg for an IM norm) and Moulthan Ly (win over IM Gary Lane for an IM norm). Round 8 saw some interesting battles, with the board 2 clash between GM Zong Yan Zhao and GM Abhijit Kunte going for almost 6 hours. The ending was that well known "arbiter killer", the Queen and Pawn ending. 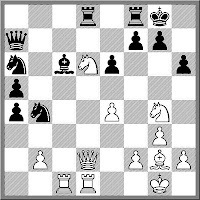 The usual script (which was basically followed in this game) is a lot of checks, then a pawn move or capture, a lot more checks, another pawn move or capture (just so the 50 move rule doesn't come into play), followed by ... well you get the picture. Eventually the game was drawn in 115 moves, to the relief of those waiting for the round 9 pairings. Further down 2 Canberra players jumped up the ranking with important wins. David Smerdon defeated early tournament leader GM Dibyendu Barua, giving him a chance at some hefty prize money, while Junta Ikeda didn't do his Olympiad CV any harm with a win over GM Darryl Johansen. Unfortunately for Ikeda his poor tournament start (a loss in round 1) rules out any late tournament run at an IM norm. Live coverage of the top 4 boards will begin at 9:30am tomorrow (AEST), with the top board of the Major (Sam Dalton v Allen Setiabudi) and the Minor (Michael Addamo v Wenlin Yin) also being broadcast. Probably the person who would be the happiest concerning the 2010 Doeberl Cup Lightning tournament wasn't even there. Indeed he isn't event in the country. I am of course referring to my fellow blogger, TheClosetGrandmaster. The reason for his happiness? This years Lightning event attracted a field of 81 players. This is at least 30 more players than last year when the Saturday night event was run as a Chess960 tournament. There were 2 GM's and 5 IM's playing, and half the field was rated over 1600. The 9 round event was lead for most of the way by GM Dibyendu Barua, until the final round, when he was overtaken by GM Gawain Jones. This came about due to Junta Ikeda beating Barua in round 9 while Jones beat IM Roy Chowdrey. Barua still collected second place, with Vladmir Smirnov edging out Ikeda for third on countback. Full crosstables for this event can be found at this link. When the last of the entries were accepted, and the totals of each tournament were added up, it turned out that the 2010 O2C Doeberl Cup had attracted an exact 250 players. This is yet another record for the tournament, breaking last years total of 237 players. Both the Premier and the Major (1400-2000) attracted 72 players, which continues the shift of previous years to a more balanced distribution between the events (rather than a heavier concentration in the Premier). Indeed one player shifted from the Premir to the Major because "the Major is now quite strong", which isn't so much suggesting that it is stronger than the Premier(! ), but that the top end of the Major is also quite competitive. The Minor (Under 1600) had 68 players enter, and the 38 players in the 2 Day Under 1200 event brought the field up to 250. There was also a record field in another event, but I will get to that in my next post. Probably the most interesting round 3 pairing from this years Doeberl Cup was George Xie versus Bobby Cheng. In a sense it was also an unfortunate pairing, as both players have strong title ambitions (Xie looking for a third GM norm, and Cheng looking for IM norms) so a negative result for either player would make it hard to work towards the title. 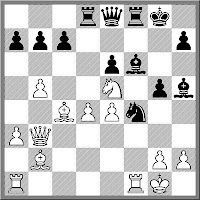 As it turned out, Xie came to the game better prepared, as although Cheng looked better out of the opening, it turned out to be theory that favoured White. 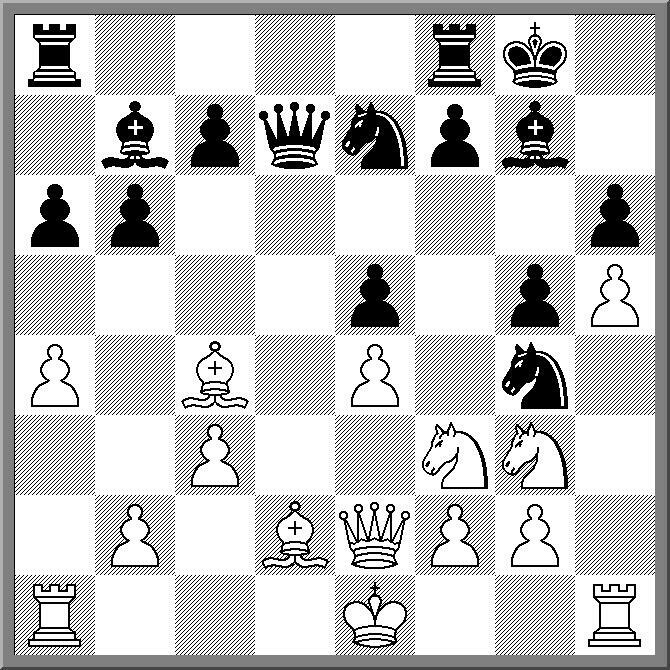 The seemingly audacious 14.Qh5 was just the hint of what was to come as Xie threw everyhting at the Black king, eventually winning on move 27. The second round of the O2C Doeberl Cup finished some time after midnight, with Li Chao grinding out a win against IM Dinesh Sharma. After 2 games their are still 9 players on 2/2 but a lot of them aren't the top seeds. Instead a lot of draws in round 2 (and even some in round 1) leaves 4 GM's on 1.5/2 and even 1 (local hope David Smerdon) on 1. Smerdon's round 2 game against former Australian Junior champion Michael Wei in round 2 was interesting, in that Wei has hardly picked up a piece for the last 2 years as he completed his university degree. And after taking half point in round 1, Wei was welcomed back to competitive chess with a GM in round 2. However the layoff wasn't that much of a handicap as Wei split the point. The second round clash between GM Zong Yuan Zhao and FM Erik Teichmann was an exciting affair. Teichmann had just won the Ballaratt Begonia Open, and so clearly had some form behind him. However Zhao gained an edge against Teichmann's off-beat opening and after sacrificing the exchange built up a big advantage. However at the crucial juncture, Zhao missed 2 killing moves, and Teichmann engineered a perpetual. As I write this post, there are still some unfinished games in the 2nd round of the Doeberl Cup (including the top board). Clearly the addition of a second time control (an extra 30 minutes after move 40) has resulted in a much later night for me than is what is normally a very late night. This is also an indication of the toughness of the tournament, given that board 1 is still going on after nearly 5 hours, and the fact that boards 2,3 and 4 were all drawn. When the results go up later tonight (or earlier tomorrow morning), there will be a raft of GM's floating around on 1.5/2. As for the tournament itself their were 34 games to start with (4 of the 72 players elected to take first round byes) although another 3 players failed to appear. Without embarrasing anyone by name, the reasons were (1) lass minute illness (2) forgot to ask for byes (3) thought it started tomorrow. After a slight delay the live broadcasts of games were up and running from round 1. Annoyingly the coverage for round 2 was a little bit more intermittent, as the ACF laptop used to transmit the moves is clearly on its last legs. Fortunatley new equipment tomorrow should solve this problem.